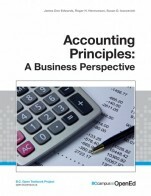 This is a free, online textbook that covers Management Accounting. The Table of Contents provides an outline of the book, with links to the materials. There are also links to the End-of-Chapter materials. You just viewed Management Accounting Concepts and.... Please take a moment to rate this material. If you know the author of Management Accounting Concepts and Techniques, please help us out by filling out the form below and clicking Send.